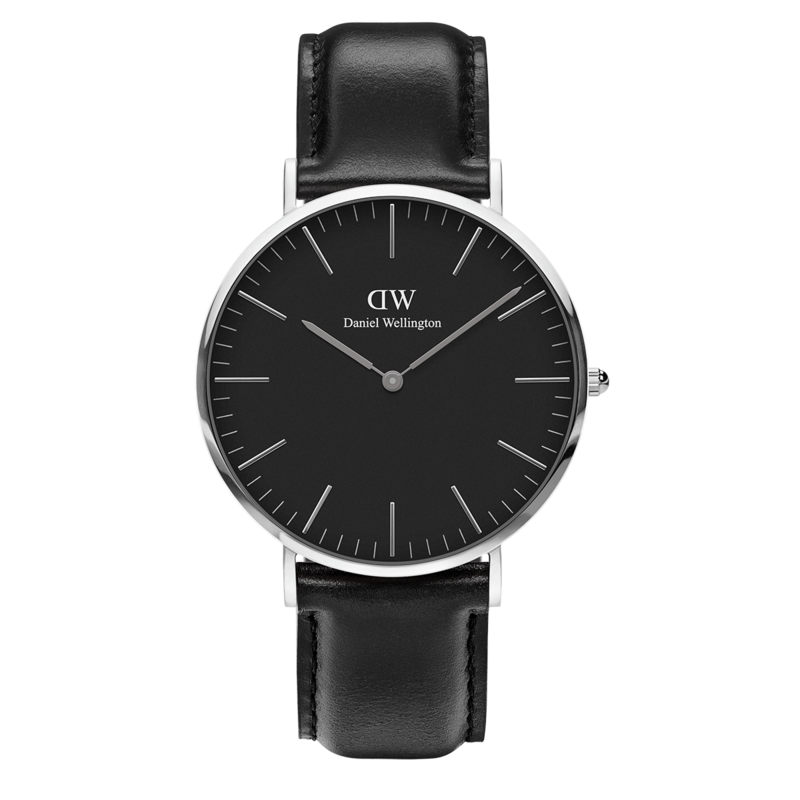 Classic Black Sheffield features a slim case, a distinctive black dial and a leather strap made from genuine Italian leather. Paired here with the all-black Cornwall NATO strap. Your purchase will be delivered in one of our specially designed boxes with gold debossed Daniel Wellington logo.